It's been a joy working with this great group of surreal artists. Our latest event is at Thumbrint Gallery. My piece for the show, "La Lechuza": the mythical legend of South Texas and Mexico. Mythology Auction for our artist collective. My piece, "Queen Mab". The auction ends on March 5th. There is a "buy it now" option if you don't wish to wait for the bidding to end. (link to auction). 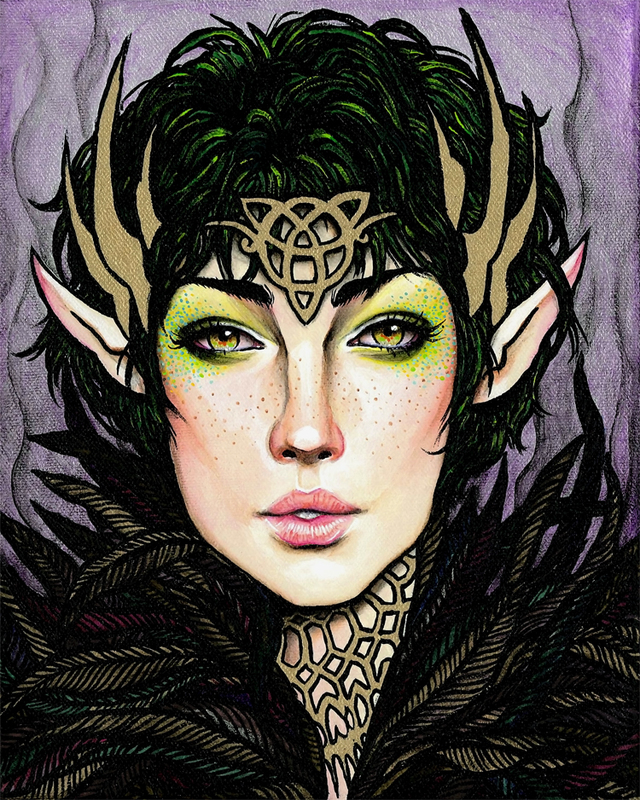 I also have open edition 8x10 inch prints of "Queen Mab" in my shop.